So you or any of the Jedis out there know how to fix this? as I remembered you have to put a code into the AI file. The LookatWrapper error normaly occur when one of the bots try to use a handheld anti aircraft weapon. The problem is passengers that can use their hand held weapons and that some of them are heatseeking, meaning you get a different plan. Any vehicle type that is called something-fixed (including Fixed), can be passengers. The rib-passengers are of type LandingCrafFixed. I think the ordinary Fixed should work just fine, the stingers are of that type. 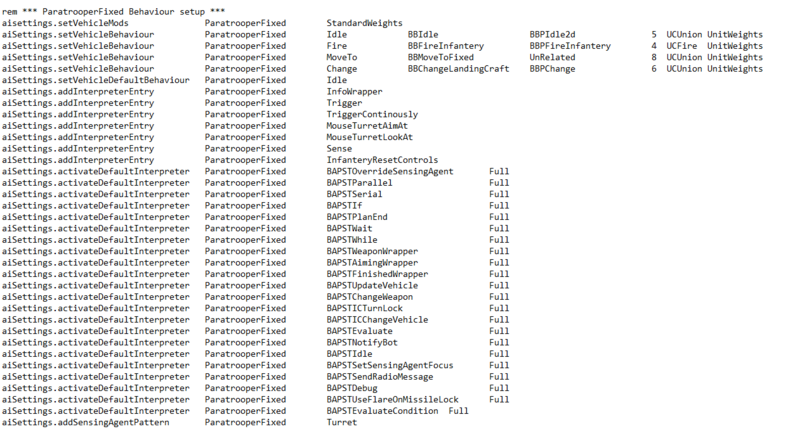 The passengers on Transport helicopters use ParatrooperFixed as their vehicle type (look in the unit plugin). Add that wrapper, and any other BAPs that might pop up to that vehicle in AIBehaviours.ai. The only ones are the default vanilla igla. is that it? For every vehicle that doesn't have it? and should I add for this guys also? I love you guys! It seems that after 4 yrs of development I was finally able to make the SP 100% stable, thanks to you guys. You both were made bots. This release will be epic. P.S. I've added the line in all those vehicles except for the ManDown and was able to play the whole afternoon without a single crash. Did you made those 3D scopes? yep most of them had the 3P 3d model but the 1P 3D scope is a whole new history and I've made they all from the scratch. All the reticles and lenses are also new. Looks awesome for a game from 2005. You also thinking about to create new layers for the old vanilla maps like for cleansweep with A-10 or Sharqi with LB's?